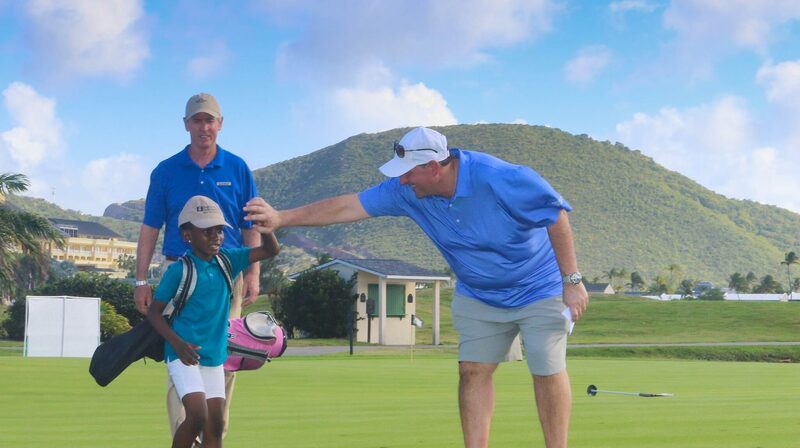 The St. Kitts & Nevis Admiral’s Cup Pro-Am is the destination's premier event for visiting golfers. Played annually in early February, the Admiral’s Cup Pro-Am is a five-day team tournament in which a PGA Club Professional and three amateurs pair up to compete against other teams from golf clubs across the U.S., Canada, UK and the Caribbean. The St. Kitts & Nevis Admiral’s Cup Pro-Am is the only golf event of its kind with tournament rounds contested simultaneously on two different Caribbean islands, the Royal St. Kitts Golf Club in St. Kitts and Robert Trent Jones II at the Four Seasons Resort in Nevis.